We would recall that Amosun promised to provide jobs for the unemployed youths in Ogun state during his campaign. Afterwards, Amosun directed that interested candidates should pay N10,000 before being allowed to sit for ASCON exam. The Civil Service Commission claimed the exam was meant to screen the candidates so as to get the best and most outstanding ones to fill the vacancies in the Ogun State Civil Service. 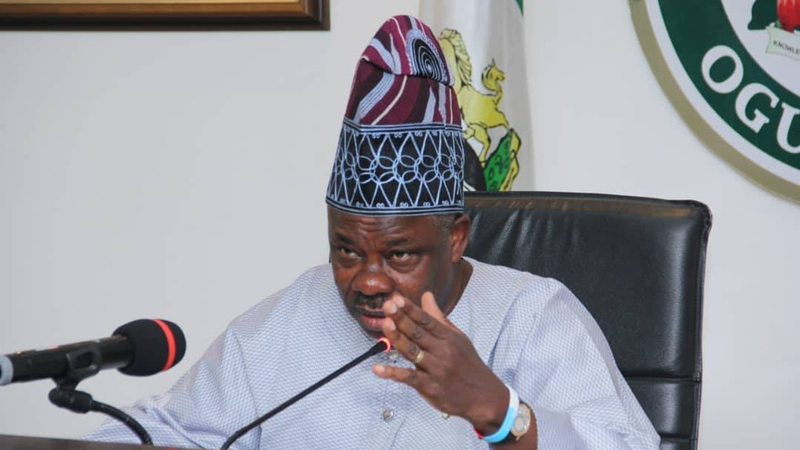 Over 20,000 candidates paid the N10,000 ASCON fees and sat for the exam at the former MAPOLY, Ojere, Abeokuta and during the exam, Amosun said he will employ 5,000 candidates (comprising new applicants and other sub cadres) through the ASCON examination and other related processes. After the exams, the successful/qualified ones were then invited for interview and they went through the rigorous processes of interview, document verification and other stages and are anxiously expecting to resume work as a civil servant BUT hitherto, we haven’t heard anything, and bearing in mind that Amosun’s government is almost rounding up. This is a clear case of fraud as it is now clearly evident that Gov. Amosun has duped the unemployed youth of over N200m (over 20, 000 candidates paid the N10,000 ASCON fees) and this same Amosun wants to represent us at the Senate and also install his stooge (Akinlade) as the next Governor. We the youth of Ogun state say a big NO to Akinlade as we see it as a continuation of fraudulent government in Ogun state. We also demand immediate employment of the 5,000 that have passed the ASCON exams or a total refund of our N10,000. We cannot be unemployed and still be scammed by Gov. Amosun of our hard-earned N10,000, totaling over N200m and still, he wants to scam us of our votes again. Ogun indigenes, pls shine your eyes, Gov. Amosun is a fraudster and a big thief.